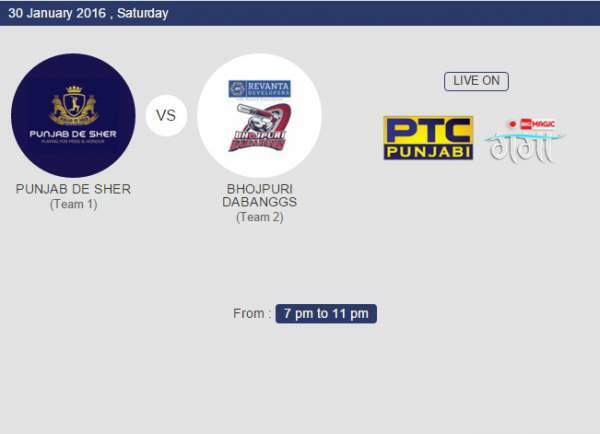 This will be the second match for BhojpuriDabanggs in this season. In the previous game, they won with ease as they dominated at all levels. Before of their better all round performance, they were victorious by 68 runs which is a considerable margin in twenty20 format. It is scheduled to start at 7 pm which can watch on television on PTC Punjabi and Big Magic Ganga. Below is the live stream for the viewers along with the live score updates. Sonu Sood, Jimmy Shergil, Ayushmann Khurrana, Gurpreet Ghuggi, Binnu Dhillon, Jassi Gill, Rahul Dev, Gavie Chahal, Dev Kharoud, Gulzar Chahal, Babbal Rai, Mika Singh, Aryaman Sapru, Navraj Hans, Yuvraj Hans and Mukul Dev. Stay tuned for latest cricket news.